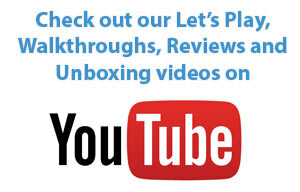 We are almost there. 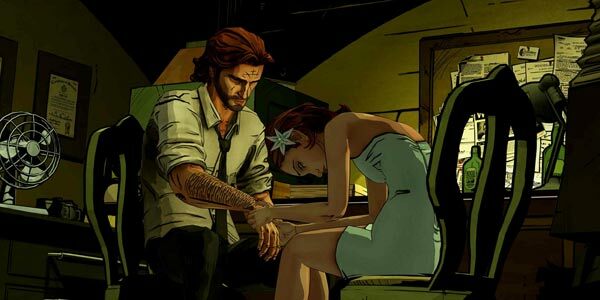 Episode 4 of The Wolf Among Us: In Sheep’s Clothing is a slow episode, think of a car in the mud spinning it’s wheels. It’s a short one hour episode that makes you wonder what’s going on and gives you what you want right at the end before cutting off to tease episode 5. The opening sequence to In Sheep’s Clothing was pretty amazing. 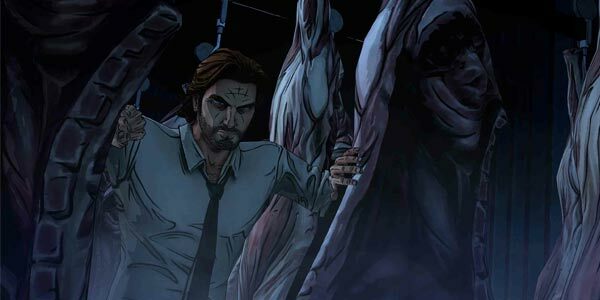 You get the strong sense of Bigby’s vulnerability. You think he’s all bad and tough, which he is, but you still get to see his actual real self. In the opening, he’s pretty bloodied up from the prior encounter of Episode 3 and let’s just say if you’re squeamish the action sequence will make you faint. You get to assist in some medical treatment of yourself and that’s all I’m going to say. I don’t want to ruin the surprise. Also, you get to have some heart to hearts with your friends which was a nice way to start things off. It’s sad to say that the intro and outro of this episode is its highest points. Let me elaborate why. There’s are a few scenes with Beauty and Beast, Toad, and Bluebeard that just run you in circles. I pay close attention to details and have to say the story behind these characters are never fully fleshed out and explored. They remain mysterious and to me it’s mysterious that this episode took you in circles with these characters without elaborating on them further. You do however get to meet some new characters and experience a fun event in the middle. You’re introduced to the Jersey Devil, for one. What made me upset was in Episode 3 you were introduced to Bloody Mary and The Crooked Man which are two of the most strongest villain characters yet they are no where to be seen in this episode until the last final literal seconds. I was so excited to see them and say get ready for sweet vengeance and then the credits rolled and I face palmed. I didn’t quite feel the satisfaction I did with the other episodes. You do face some decisions in this episode, however, none that feel as though they bear any weight. I do think the graphics were excellent in this episode you see some familiar places as well as some new ones like the deli, inside and behind the counter, and also the pawn shop. 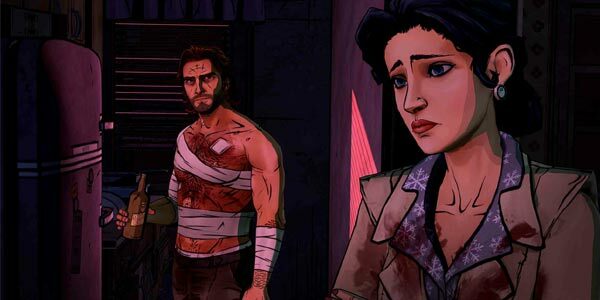 The Wolf Among Us: Episode 4: In Sheep’s Clothing features some strong writing, excellent graphics and some compelling gameplay. However the lack of meaningful weighted decisions and the feeling of some pointless loops left something to be desired. Despite these things, it still paved the way for an excellent entrance to Episode 5 and made me sit on the edge of my seat at the end so I applaud Telltale Games for that and recommend you keep checking out these episodes. I cannot wait to see what happens in the final episode.